Jules Sheehan will do anything to keep custody of the two orphaned girls in her care--including a marriage of convenience with their uncle. Cam Quinn crosses the globe as a travel writer, but he's ready to settle down. Now tough, tender Jules is offering the home he's secretly longed for. Can this marriage in name only become a family of the heart? This was a great marriage of convenience story! I loved the way Jules and Quinn are working together to care for Eleanor and Emma. They get to know each other quickly in often overwhelming circumstances, and the characters from the previous books in the series play an integral role in providing support and encouragement. I thought the author skillfully handled the issue of different ethnicity with sensitivity- not ignoring it, but not letting it overshadow things. The plot conflict comes when Quinn and Jules develop romantic feelings for each other, but begin to fight them out of fear. They had great chemistry and the partnership they form to create a family for the girls becomes a family for each of them as well. I felt like the characters were well developed and even though I was frustrated with their reticence, I could understand where they were coming from. After becoming a foster parent to a young boy, equine therapist Jordan Conley's life gets turned upside down. 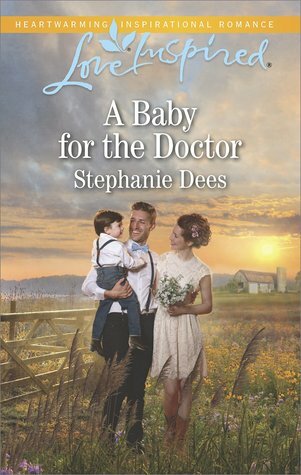 Little Levi is in need of an exceptional pediatrician, which means seeking help from Dr. Ash Sheehan—a man that, despite her heart-pounding crush, isn't her type. Her life is horses and hay, and she can't imagine the suit-clad doctor in a pair of cowboy boots. As a confirmed bachelor, Ash has never been nervous around women, but there's something about Jordan that flusters him, and working closely together doesn't help. The last thing he's looking for is long-term romance. But the more involved he gets, the more he wishes they could stay together…always. I was excited to try a new-to-me Love Inspired author, and happy to say I enjoyed her story! Even though this is part of a series I didn't read the previous book first and felt it stood well on its own, while incorporating characters that appear in all four books. There is a strong theme of family, the kind we build ourselves through love and determination. I loved how Jordan supports her sister and brother-in-law's family of foster children and also takes in Levi. She has a rough background, but has channeled her experiences and developed a therapy program that is fulfilling. Ash is drawn to her genuine and compassionate personality as they spend more time together with Levi, but she has a hard time believing that the doctor with such a different lifestyle than hers could be interested. They have great banter and I loved reading their interactions. 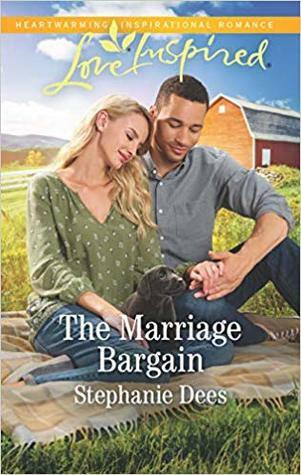 Her relationship hangups bring some conflict into the story, but Ash's perseverance pays off as Jordan settles into her new reality as a mother and accepts Ash's love for her and Levi.